SOMETIMES IT MAKES more sense to respond to the claims made in a press release than to review an album from scratch. So let’s examine the blurb that came with this Auckland band. 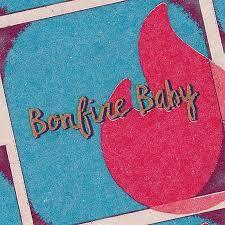 “Soulful vocals, melodic harmonies and an infectious backbeat give Bonfire Baby their signature sound. 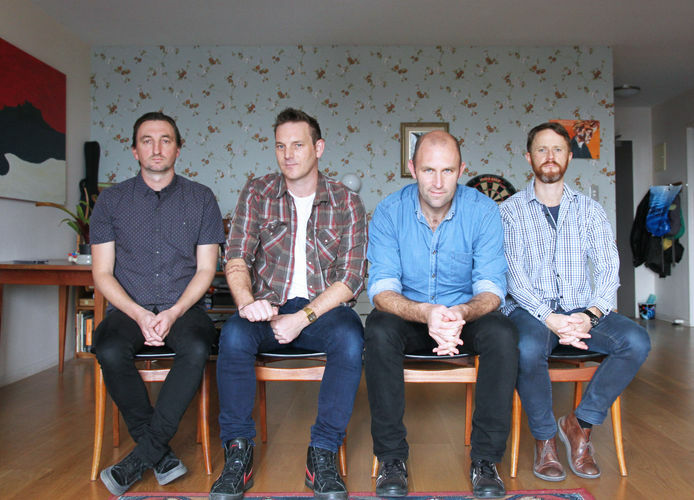 Rootsy guitar licks and honking saxophone melodies add to the band’s unique voice.” The problem from the get-go is that both the recording of the vocals, and the vocals themselves, are sub-par. On the plus-side, those “rootsy guitar licks” are quite tasty. “Front man Tom Irvine has assembled a crackerjack group of players to compliment [sic] his repertoire of traditional rock, soul and country songs.” It’s fair to claim that the material and sound make for a happy combo of rock, soul, country, and especially, blues. “Bonfire Baby’s eponymous 7-track EP is a dynamic, well-crafted collection of songs recorded at The Lab Studios, with Olly Harmer at the helm.” The sound is okay, but suggests that the material was fairly hastily recorded, or perhaps, not given the care needed in the mixing and/or mastering, because there’s a distinct lack of heft and dynamism to the sound, and as mentioned above, the vocals sound thin. “‘La Niña’ is a sweet instrumental with a lilting guitar melody reminiscent of The Allman Brothers.” The comparison to the Allman Brothers on this perky guitar instrumental is an apt one. It is sunny and melodic. ‘Better Days’ and ‘In The End’ are classic soulful pop songs with an uptempo feel, enhanced by saxophone hooks and uplifting choruses.” ‘Better Days’ actually reminds me of one of those hopeful, harmony songs from the early ‘70s like ‘I’d Like To Teach The World To Sing’, but they could have edited out the sax solo (short as it is) and improved the vocals. ‘In The End’ sounds like they’re after an almost Stones-like party groove, but it all sounds a bit forced, and the drumming is annoyingly mundane. “‘Gone Crazy’ and ‘Dirtyskirt Blues’ showcase the ‘stoner rock’ element of the band with powerful mesmeric grooves while ‘Turn My Head’ continues the harder rock theme with a verse riff that brings AC/DC to mind.” Guitar fans will enjoy ‘Gone Crazy’ – not fancy, but he clearly enjoys getting his Mojo on. The theme though, about a female who has gone crazy, and with cliched lyrics like “she’s got a burning desire”, needs some work. ‘Dirtyskirt Blues’, on the other hand, is a groovy guitar instrumental, which they pull off with ease. This is the sound they should stick to. ‘Turn My Head’ is certainly a little heavier than the rest, but it doesn’t become them, and comparisons with AC/DC are pointless, as the recording lacks the weight, force and sheer gristle of the Aussie rockers.